If you do submit personal information by registering your detail with us, or by requesting professional valuation or property services, for example, you can be assured that we will use your personal information only to support your continuing relationship with us. You should read this notice in conjunction with the Terms & Conditions of use. We endeavour to collect and use your personal information only with your knowledge and consent and typically when you order and subsequently use our services, make customer enquiries, register for information or other services, request information, submit a job application or when you respond to communications from us (such as questionnaires or surveys). The type of personal information we may collect could include but is not limited to, for example, your name and postal address, date of birth, gender, telephone and fax numbers, email address, lifestyle and other information collected on registration or through surveys. If you choose to provide us with personal information it will be used in support of the intended purposes stated at the time at which it was collected and subject to any preferences indicated by you. We may also collect non-personally identifying information about your visit to our web sites based on your browsing activities. This information may include but is not limited to the pages you browse and products and services viewed or ordered. This helps us to better manage and develop our sites, to provide you with a more enjoyable, customised service and experience in the future and to help us develop and deliver better services tailored to your individual interests and needs. We may use your information for a number of purposes which includes but is not limited to: processing your requests for information and managing and administering your account; delivering any services or information requested by you; responding to complaints or account enquiries; administering debt recoveries; verifying your identity when required (for example, you may lose your password or security information and we may then need to ask you for other ‘identifiable’ information to protect your data from unauthorised access). We may also undertake market analysis based on your use of our services and contact you with information about new listings/properties, services and special offers by post, telephone and automated means such as mobile text message (SMS), Email and the world wide web (subject to any preferences expressed by you). To update your marketing preferences, simply log in to the customer area and update your account. Please note that Black Grace Cowley does not sell or pass your personal information to third parties (other than as set out in the paragraph above) unless you have given us permission or unless it is necessary to deliver the products and services ordered or used by you. For example, we may disclose your data to a credit card company to validate your credit card details and obtain payment when you buy a phone or other product or service. On visiting the Black Grace Cowley’s website when you click accept we will set four Google Analytic cookies on your computer (__utma, __utmb, __utmc, __utmz) so that we can access Google Analytics services. We use this to monitor traffic levels, search queries and visits to this website. Google Analytics stores IP address anonymously so neither Black Grace Cowley or Google can associate your IP address with any personally identifiable information. These cookies allow us to enhance our website and improve the customer experience. Black Grace Cowley recognises that its customers are increasingly concerned about how companies protect personal information from misuse and abuse and about privacy in general. We are constantly reviewing and enhancing our technical, physical and managerial procedures and rules to protect your personal data from unauthorised access, accidental loss and/or destruction. We use industry standard secure sockets layer (SSL) technology, for example, to encrypt sensitive information such as your credit card and other financial information. Please be aware that communications over the Internet, such as emails/webmails, are not secure unless they have been encrypted. Your communications may route through a number of countries before being delivered – this is the nature of the World Wide Web/Internet. Black Grace Cowley cannot accept responsibility for any unauthorised access or loss of personal information that is beyond our control. 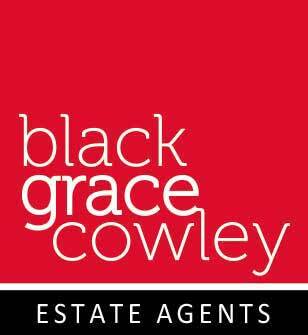 For a copy of your terms and conditions please contact your Account Manager or Service Desk Team on 01624 645555 or hello@blackgracecowley.com and we will be happy to forward a copy to you either by email or by post.